– Somebody else doing a double-take. – Shadows that are shaped like people trying to stab me. Also, people who are trying to stab me. – A really hot wombat in a tube top. Gotta stop and give them water, it’s just the right thing to do. The tube top always confuses me though. – The Queen. Every. Single. Time. – Explosions. Because I’m not a cool enough guy not to look at them. – That table I just stubbed my toe on again and why is that table still there shouldn’t somebody move it already!? – Rips in the space/time continuum. – Anything that looks like a duck, especially a duck. – Kick-able snow banks because apparently I’m still twelve. – Kick-able twelve year olds because apparently I’m still a vengeful snow bank. – VHS tapes for rent/sale at corner stores. Even as a vinyl fan I’m puzzled as to if there’s actually a scene for that sort of thing still. This entry was posted in Bees!, Blog, Blogging and tagged blog, blogging, bubble wrap, cleverbot, double-take, explosions, humor, humour, list, lists, musings, new brunswick, people, pic, pictures, queen, things, you. Bookmark the permalink. This is one of the funniest posts read this week, have no idea why but it left me chuckling. Men and women do double takes on exactly the opposite things. Well, the tube tops confuse me too, especially if no bra in the grocery store… I love the bees at the top of your page, very cute. Thanks! Making people laugh and confusing them are my two favourite things. Funnily enough, the bees in the upper right corner of the panel where there’s four of them flying over the landscape? 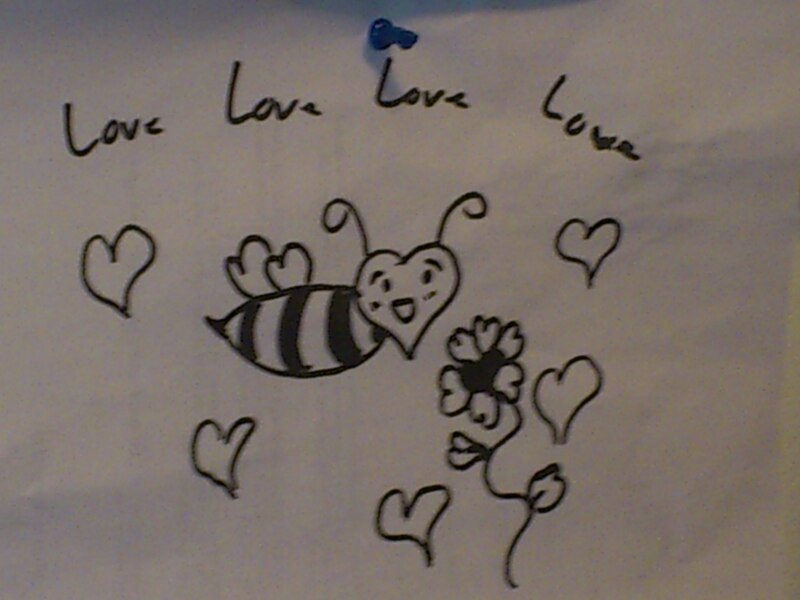 That was totally drawn by my girlfriend and is actually above my drawing ability ha ha. This is funny! I love your humor!